All in all, the 12 houses of the horoscope reserves the tenth house for one’s professional life. Strictly speaking, in the long-drawn struggle in every man’s life span is the most trying and demanding phase is his capability to earn money. For the time being if it is taken as granted that profession is another name for ‘toil’, then necessarily there is element of Martian character creeping in. For good reasons, we can ruminate that 10th House in the Kaal Purush Kundli is the exalted Rashi of Mars, from where it aspects the Lagna and the 4th House, as also the 5th House. Since Jupiter occupies 4th House being in its exaltation, Rashi and Jupiter is 9th lord, the link between 1st, 5th and 9th houses gets established. These three are the Dharma houses. Performing our Karma is nothing but our Dharma. In delineating profession D/1, D/9 & D/10 are important. Look for Lagna and its Lord. Examine 10th from Lagna, the Moon and the Sun. See 10th from Arudha Lagna also. Strength of dispositor of Rashi 10th Lord be seen. 10th House,10th Lord from Navamsha Lagna. 10th House, 10th Lord from Karkamsha Lagna. Strength of 10th Lord of Rashi in Navamsha. 10th House and its Lord. Position of 10th Lord of D/1 in D/10 is also important. It ensures good career, if in exaltation, own sign. 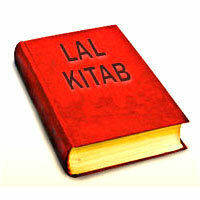 Lagna and location of its Lord also ensures good career. 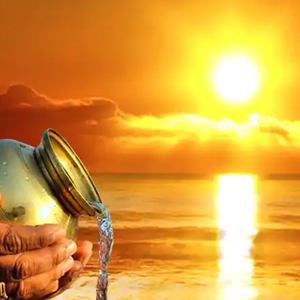 If a common planet emerges from A,B,C above or two planets may have connections with each other in Rashi chart and having relationship through their Nakshatras, one is able to pinpoint the planet which is going to influence the career profile of the native. Wealth giving Yogas play an important part in getting gains through profession. If planets connected with these Yogas happen to be present at the start, or middle of profession, one can get a boost in the career. Amk should influence MP/AD, or be in 10th/11th from them. Indu Lagna/Lagnesh should influence MP/AD, or be in 10th/11th from them. AmK in transit is either influencing MP/AD, or is in 10th/11th from them. Sat and Jup in transit show a connection with 10th House, or 10th Lord from Lagna. Dasha of Lagna Lord/10th Lord/exalted planets shall give gains. Benefic Dashas at prime time brings gains. Dasha of Lagna Nakshatra Lord always gives gains . Dashas of Yogda planets of first order are beneficial. Yogda planet is one which aspects by Jaimini method Lagnas of D/1, D/3 and D/9 charts. Dashas of Yogi Planets always give good results (Yogi planet is calculated by adding longitudes of Sun and Moon and a constant of 3Rashi-3 degree-20 Minutes. The star Lord of the resultant is known as Yogi Planet. Transit of Saturn and Jupiter should have a positive aspect of the planet that had emerged as a profession Lord of the native or with 10th House, or 10th Lord. Example : In order to understand the above mentioned principles chart of a female native is given below for delineation of profession. DOB 15-10-1984 at 12.33Hours. Lat 28N26 Long 77E19. Mercury is appearing as the 10th Lord from Lagna, Moon Lagna, Arudh Lagna in D/1 chart and Lagna, Karkamsha Lagna in D/9 chart. 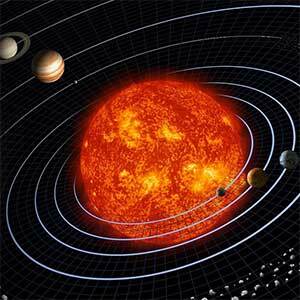 Mercury, Moon and Sun are in the Nakshatra of Mars. Rahu is placed in the Nakshatra of Sun. Moon and Mercury are Vargottama. Native is presently doing MCA/BCA. Powerful Vipreet Rajyoga. 8th lord Moon in 6th and 6th lord in 12th. Also Dhana Yoga prevails because 2nd Lord Saturn in 11th and the 10th Lord Mercury in 11th. AK Sun, PK Jupiter and 5th lord Mars aspect each other and Thereby form a powerful Rajyoga. There is no Yogda of the first order. But Jup and Mars are in Lagna of D/1 and D/3 plus Sun aspects Lagnas of D/1 and D/9. These three-Jupiter, Mars and Sun qualify to become Yogdas of the second order and contain a promise to help the native in career. Yogi Planet is Jupiter in the Nakshatra of Ketu. Nakshatra lord of ascendant is Venus and its placement in Rashi chart with Ketu in 12th house is considered to be good. 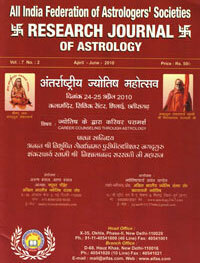 Exalted planets are Rahu, Moon and Saturn in Rashi chart. Ashtakavarga Bindus in 5th, 10th and 11th houses respectively are 22,. 31 and 38. Rahu is 6th lord, which represents service and in Nakshatra of Sun (9th lord) and aspecting 10th and 2nd houses. Mars is 5th/12th lord in Lagna, with powerful Lagna lord and also Yogda planet of second order. Transit: Transit and sojourn of Saturn in Cancer wef 9/2004 to3/2007 aspecting 10th house and 2nd house is auspicious. Later when Saturn reaches Leo in March, 2007, it will aspect 2nd lord, 3rd house and MP lord Rahu. Transit of Jupiter in Scorpio takes place in 8/2006, from where it aspects MP lord Rahu and the 6th House. Thus it is seen that this transit is helping and aiding Dashas in getting promised results in Lagna chart. Ashtakavarga Bindus: 5th house down and 10th up. 22 vs 31 Bindus with support of 38 in 11th house tell their own story in respect of rewards from career. SPECTACULAR gains, if supported by good Dashas one after the other at proper time. When MP of Rahu ends in 8/2007 at the age of 23, Jup shall operate upto 2023. Jupiter is Lagna lord and 4th lord in Lagna with Mars (5th and 12th Lord) and aspect of Saturn (2nd and 3rd Lord) Jupiter is Yogda planet of 2nd order and a Yogi Planet in the Nakshatra of Ketu. Ketu is exalted in 12th house with 6th and 12th lord Venus and it is likely to support Jupiter. Thus the Mahadasha of Jupiter should see the native scaling new heights of career. Mallika Yoga : When 7 or more planets are posited in continuous houses, Mallika Yoga is formed. In this case 9th lord is in 10th, 10th lord is in 11th, 11th lord is in 12rth, 12th lord is in Lagna and Lagna Lord in Lagna itself. It is quite a feature that 4 planets are posited in progression, forming the famous Mallika Yoga, which promises high financial status and popularity to the native. Moon the AmK should influence MP/AD or be in 10th or 11th from them. The Chara Dasha of Virgo runs from 10/1998 to 10/2009, while the AD of Gemini operates from 2/2006 to 1/2007, thereafter Cancer takes over wef 1/2007 to 12/2007. Moon misses to influence the Virgo Rashi but definitely does so in the case of Cancer, which it aspects and is 11th from it. Indu Lagna Scorpio aspects Lord of Virgo (Mercury) as well as Cancer – the AD Lord. Indu Lagnesh Mars aspects Virgo – the MP Rashi and 10th from it. Out of 5 forceful stations which matter, AK – AMK – PK -DK and 5th Lord, 3 are aspecting MP Virgo and majority aspect the AD of Gemini and Cancer. AmK in transit, i.e. Moon, shall always influence MP of Virgo and the AD Rashis, since it is a fast moving planet. The transit of major planets Saturn and Jupiter is, however, not so clear in aspecting the 10th House, or the 10th Lord, although the transit of Jupiter on 28th Aug 2004 in Virgo is positing of Jupiter in 10th House itself. •	AK (Sun) PK(Jupiter)and 5th lord (Mars) are all aspecting each other from powerful positions, thus making a grand Rajyoga. This combination is relevant not only in the MP of Virgo, but shall also continue to dominate in the MP of Sagittarius.